A group of Scalby teenagers are taking part in the National Citizenship Service Programme during the Summer holiday. 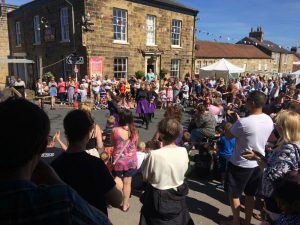 As part of this programme, the group has organised an event on Friday, 10 August at the Nag’s Head (at the back, outside if weather fine) to raise money for the Rainbow Centre in Scarborough. The group of friends are going to play some music and there will be some other activities. If anyone can go along to support them it would be much appreciated. Also, if you could spread the word to friends and family it would be very welcome indeed.